Happy Tu B’Shevat, the Jewish “birthday of the trees”! In honor of this fun holiday, a bit of indoor seed starting chat. 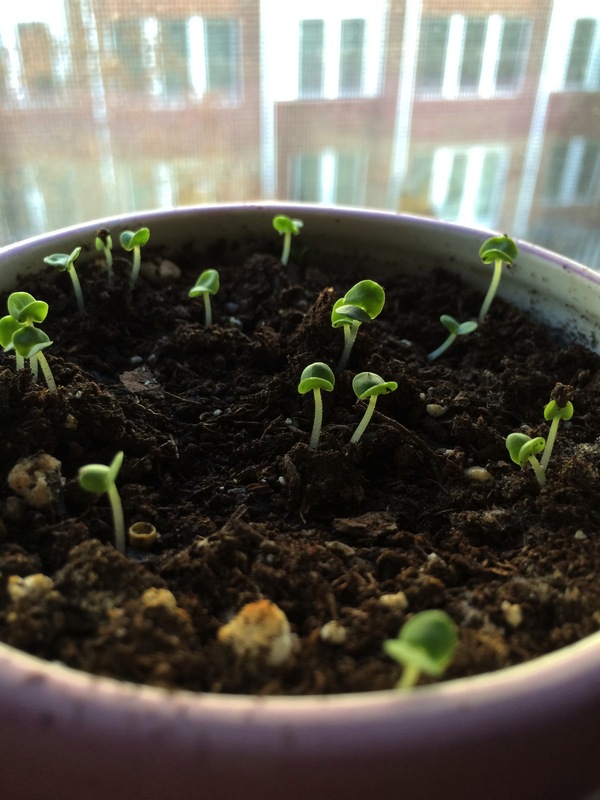 I’ve been growing seedlings inside, mostly herbs, not necessarily for consumption but more for sport, if you will. Right now I have ginger, basil, parsley. 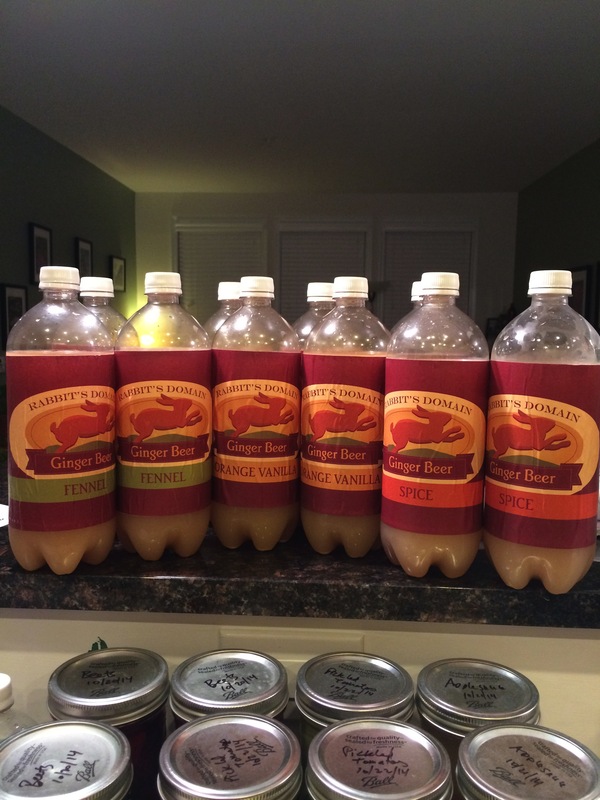 I make ginger beer. Right now for fun, but we’ll see what happens with it. Anyway, I wanted to see if I could grow my own ginger. 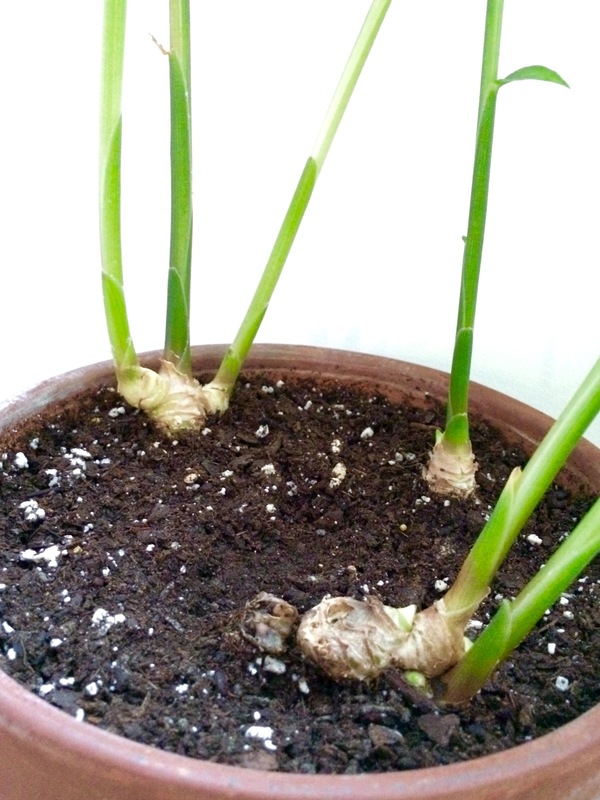 I started with a few pieces of organic ginger root, left them in a bag in the fridge, and when they grew “nubs,” I planted them in a pot. 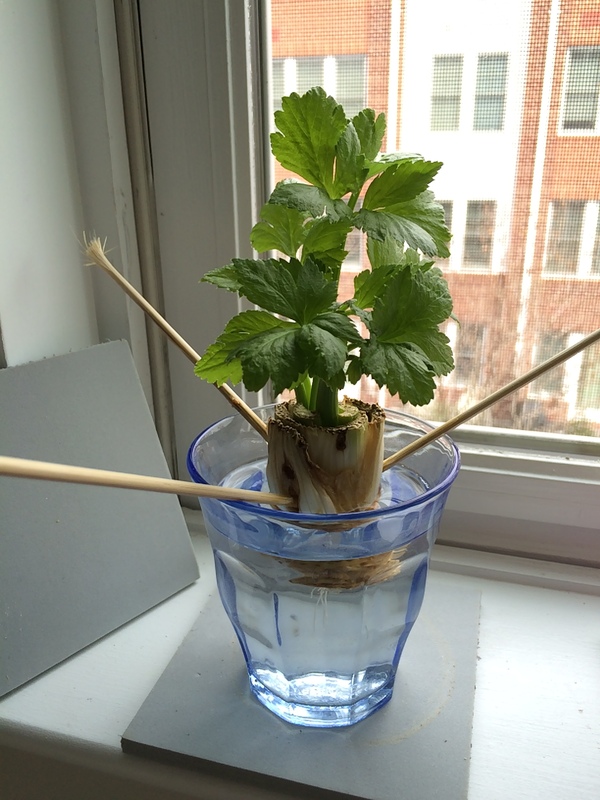 It grew very quickly and sprouted several stalks. Now it’s just a pretty ornamental. 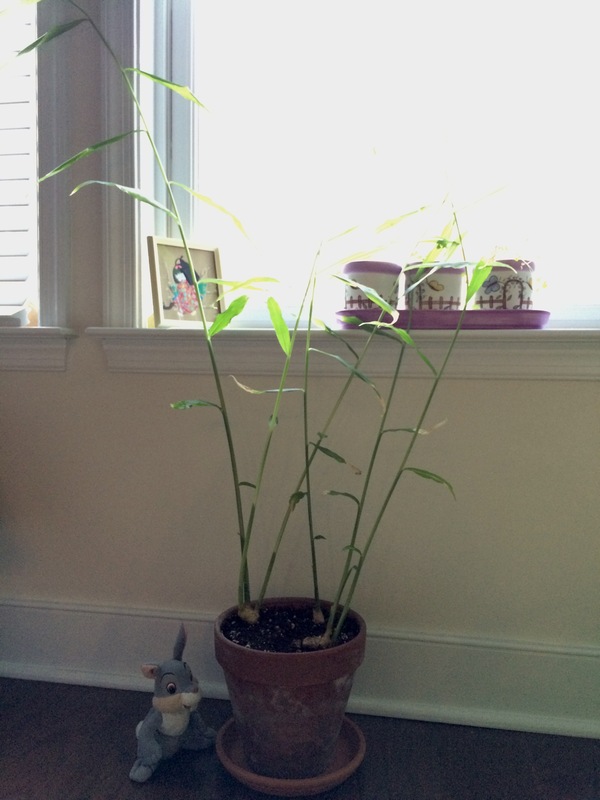 Kind of looks like bamboo, and it has a scent that is bright, almost grassy citrus. Smells very clean. I’ll plant it outside in the roof garden when temps get to about 60-65F. From what I’ve read, harvest should start after about a year, enough time to let the root system grow. 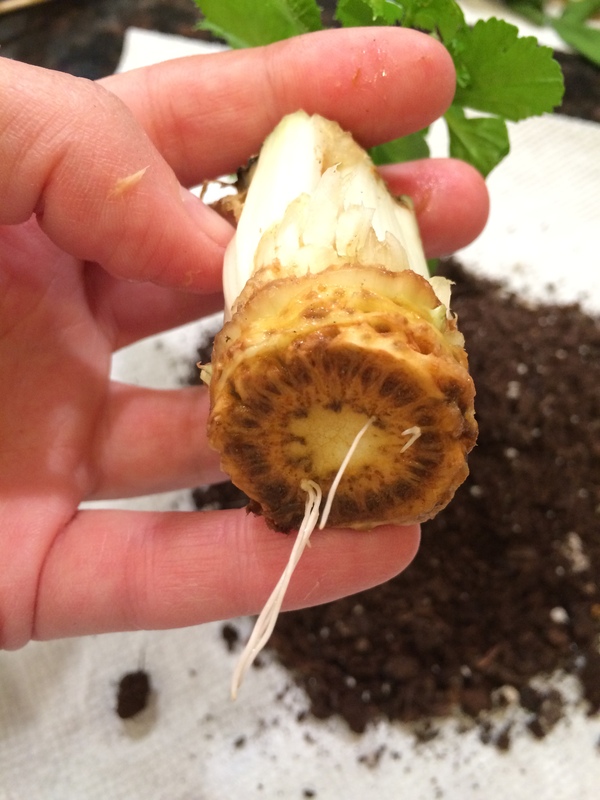 After all, we’re hacking off chunks of the root. I don’t know if I’ll be able to hold back and let it grow. We’ll follow this ginger development over the next few months. 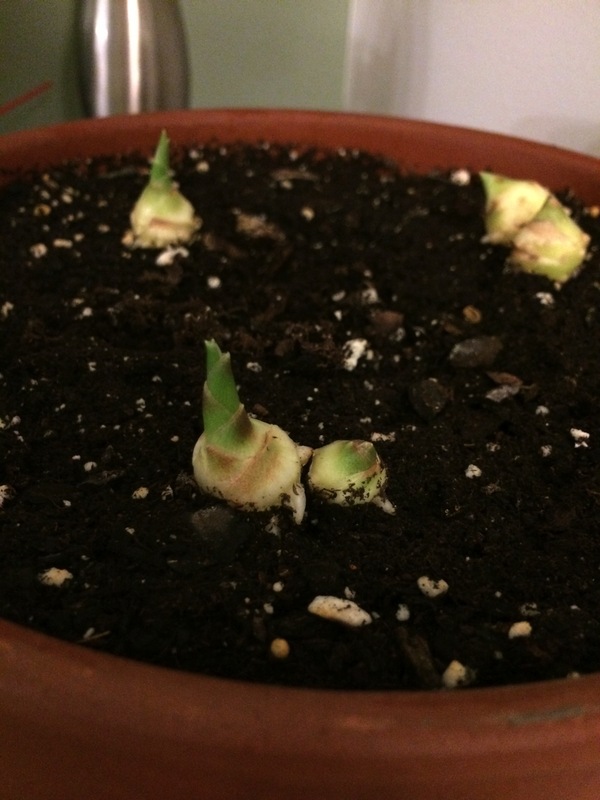 Ginger, about two weeks after planting. 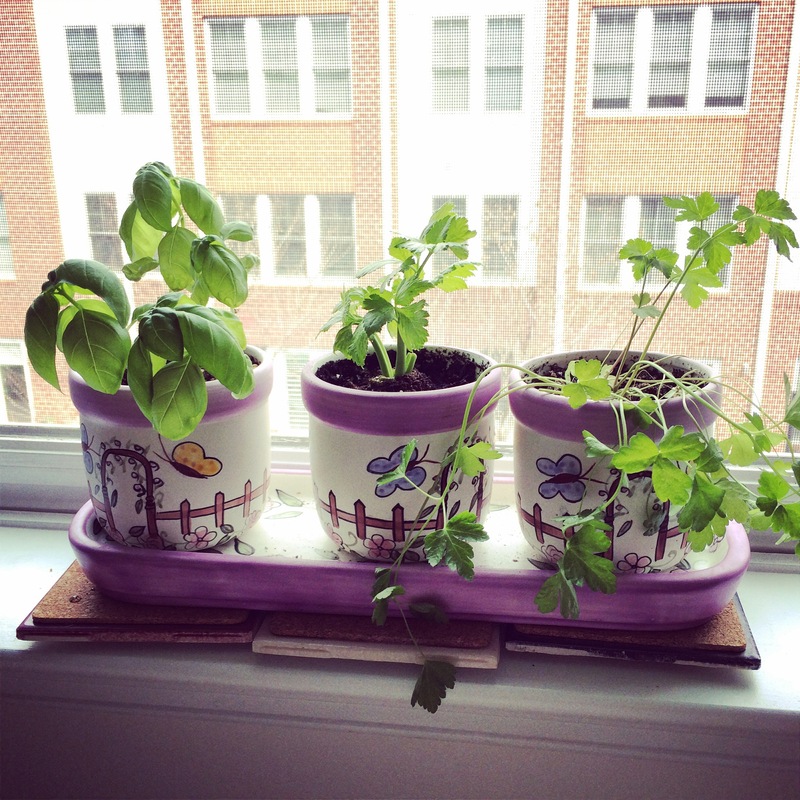 I planted some basil, too. These guys first went in in December, and they’ve barely grown since then. 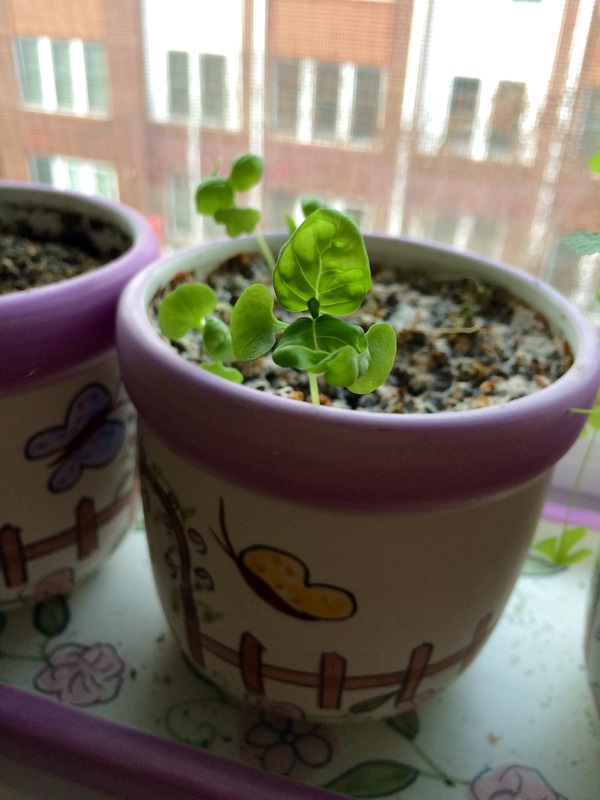 I just started to see a second set of leaves from the few remaining seedlings, so that’s nice. Normally by 10 weeks we’d be significantly larger, but we’re not outside here. 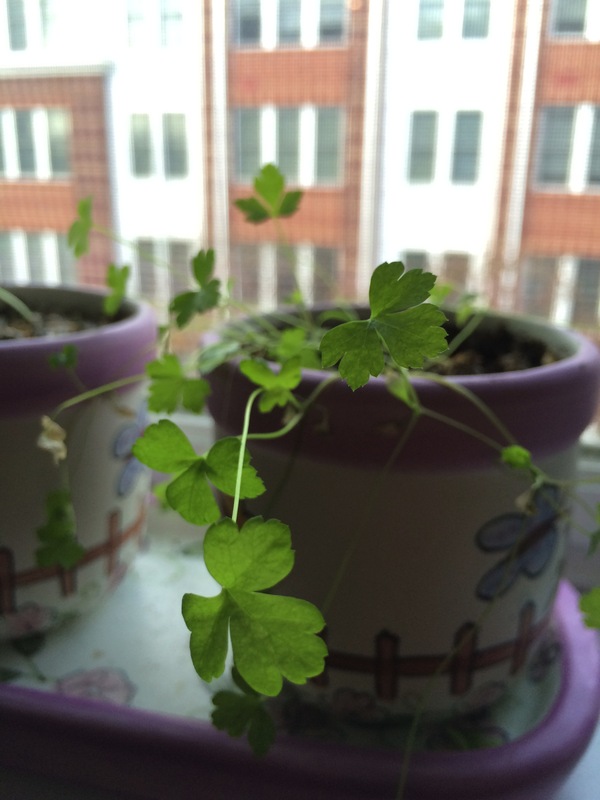 Same story with the parsley. Second, and some third, sets of leaves, but not that much else going on. More lanky, lazy looking parsley. I was considering letting my rabbit have at these seedlings, but I can’t let her eat my science experiment just yet! I do have actual seed starting pots and pellets that I’ll bring out in about a month or so. I’m going to build a little seed starting box and see if I can get some plants to grow upstairs this year instead of buying ready baby plants. I’ll probably stick with herbs, but we’ll see how adventurous I’m feeling. Oh, here’s my ginger beer!